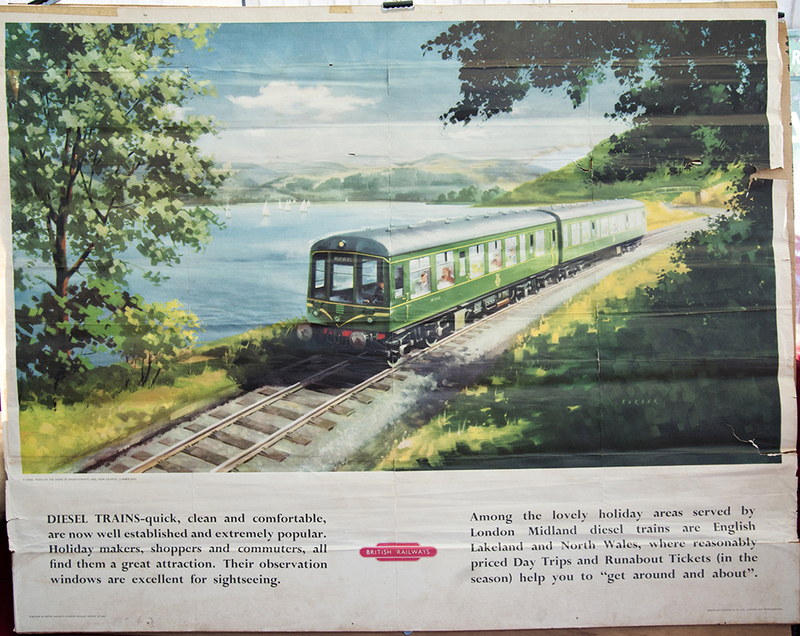 Poster BR(M) A Diesel Train on The Shore Of Bassenthwaite Lake by Barber. Quad Royal 40in x 50in. Has two hardboard strips glued to the back top and bottom.